A promising mare, daughter of the four gaited stallion, Hrymur frá Hofi (8.20), and Blæja frá Miðhjáleigu. Indíana frá Miðhjaleigu is a very promising mare, daughter of the four gaited stallion, Hrymur frá Hofi (8.20) and Blæja frá Miðhjáleigu. Hrymur frá Hofi (8.20) is a four gaited stallion that has 8.16 for Conformation and 8.23 for Riding Abilities; 9 for tölt, 9 for trot, 9 for gallop, 8.5 for spirit, 9 for general impression, 6.5 for walk. He has also 8.5 for slow tölt and 7.5 for canter. Hrymur is a son of Skorri frá Blönduósi (8.32) ( son of Orri frá Þúfu) that has 8.23 for Conformation and 8.41 for Riding Abilities; 9.5 for tölt, 8 for trot, 6.5 for pace, 8 for gallop, 8.5 for temperament, 8 for character and 9 for general impression, and Skikkja frá Sauðanesi. 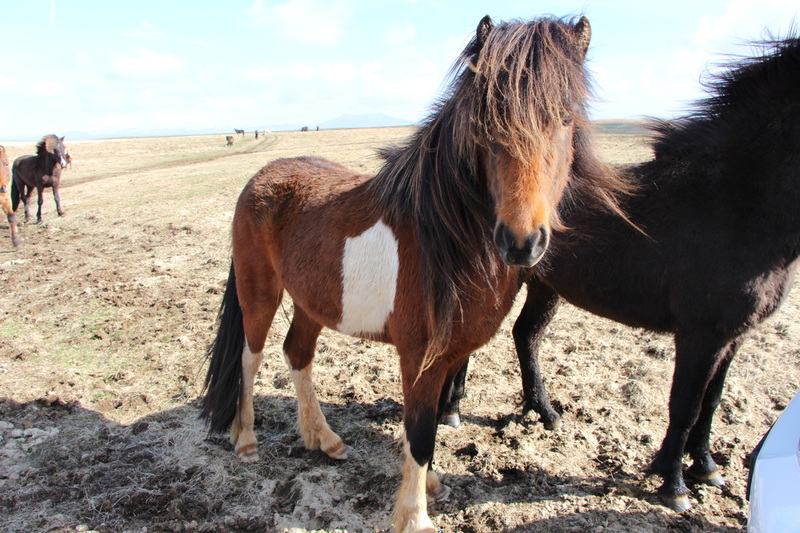 Blæja frá Miðhjáleigu is a four gaited mare that has 8.17 for Conformation and 8 for tölt, 8 for trot, 8 for gallop, 8 for spirit, 8 for general impression and 7.5 for walk. She's daughter of Randver frá Nýjabæ (8.28), that has 8.56 for Riding Abilities; 8.5 for tölt, 8.5 for trot,8.5 for pace, 8.5 for gallop, 8.5 for spirit, 9 for general impression and 7.5 for walk, and Rökkva frá Miðhjáleigu.